Andrew has extensive experience at both practical farming and corporate management. He began his career as a farm consulting officer for the then NZ Dairy Board. He then joined the former Kiwi Cooperative Dairies (a forerunner to Fonterra) as milk supply manager and then farm services manager, responsible for 120 staff. In 1998, Andrew and his wife Alison went 50/50 sharemilking milking up to 650 cows. In 2003, they won the New Zealand Sharemilker of the Year title and Andrew was awarded a Nuffield Scholarship. In 2004, Andrew travelled on his Scholarship studying "Innovation systems to add value beyond the farm gate". Today they own a dairy farm milking 600 cows on irrigated land in Wairarapa (North Island). Andrew joined the MyFarm business part time in 2000 and became a partner in 2005, one of two Managing Directors in 2007 and CEO in 2016. Under Andrew's leadership the investment team at MyFarm have consistently raised $25 - $60 million per annum for investment in quality Rural Investments whilst also developing an effective share sales service for those investors who want to exit their investment (liquidity has traditionally been an issue with investing in farm syndicates). The MyFarm team now consists of more than 25 staff who raise capital and manage more than US$500 million of farms including South Island dairy, North Island sheep and beef farms and a range of Pipfruit, Vineyard, Kiwifruit and rural commercial property investments. Founding chairman and now director of Figured.com – a Farm Accounting and Financial Management software as a service package which works with Xero. Figured is in New Zealand, Australia, the US and is likely to launch in the UK in 2018. Figured has just completed a NZ$7.5 million funding round and has the potential to drive on-farm profitability throughout the English-speaking world. Nuffield and Industry Leadership Consortium Trustee. Andrew’s passion for agriculture focuses at the intersection of farming and finance. Craige Mackenzie is an innovative dairy and cropping farmer from Methven, New Zealand. His farms, Three Springs Dairies and Greenvale Pastures, are situated near the foothills of the Southern Alps on the Canterbury Plains, about 100km from Christchurch. Greenvale Pastures is an intensive irrigated cropping operation growing a wide number of specialist seed crops, along with wheat and ryegrass. Many of these are for overseas markets. Three Springs Dairies is high output dairy farm milking 1050 cows on 320 ha. The farm is a fully irrigated, pasture based system with grain feeding in the dairy shed. In 2008 Craige was recipient of a New Zealand Nuffield farming scholarship where his Study topic was ‘Understanding our Carbon Footprint in Farming Systems’. He and wife Roz were runner-up in the Lincoln University Foundation 2010 Farmer of the year. More recently in 2013 Craige and Roz were Supreme winners of the Ballance Farm Environmental Awards in Canterbury and went on to win the coveted 2013 National Ballance Farm Environmental Award "The Gordon Stephenson Trophy". Craige and daughter, Jemma, established Agri Optics NZ Ltd, a company based on providing precision agriculture tools and services to increase the efficiency of NZ farming systems. This has recently expanded into a Joint Venture with New Zealand’s leading farming services providers, PGG Wrightson and CB Norwood Ltd. Craige has also patented the Smart N fertilizer application system which with the use of sensors can apply nitrogen in between dairy urine patches and not on them. Craige is one of New Zealand’s two representatives to the International Society for Precision Agriculture. 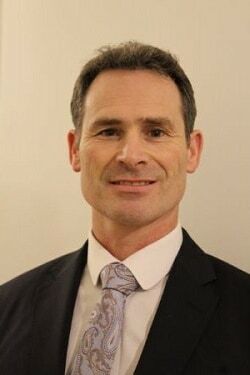 Craige is a former board member of SPAA - Precision Agriculture Australia and until recently he has been the chairman of PAANZ -Precision Agriculture Association of New Zealand. Craige is heavily involved in a number of industry research initiatives involving both the dairy and cropping sectors. He currently sits on NZ Government Technical Advisory Groups in the areas of ‘Water Allocation and Quality’ and 'Smart Agriculture'. Craige was invited to sit on the Global farmer Roundtable in 2012 and 2014 in Des Moines Iowa which is side event to the World Food Prize and is now a member of the Global farmer Network and has recently been appointed to the Global Farmer Network Board. Craige was awarded the 2016 International Precision Ag farmer of the year in St Louis, USA at the Info Ag and International Precision Ag conferences in August 2016. Craige and Roz have also recently received recognition from Environment Canterbury, receiving their ‘Outstanding Contribution Award’ for their excellence and innovation in farm practices . This is the first time this award has had agricultural recipients. Craige’s focus is on utilising precision agriculture systems to maximise nutrient and irrigation efficiency for improved farm sustainability, both profit an environmental. Anne has been the General Manager of the New Zealand Rural Leadership Trust for the past four years. The Trust manages the Nuffield NZ Scholarships and the Kellogg Rural Leadership Programme, two highly successful and recognised agri-business professional development programmes. The joint management, governance and funding of the two programmes has ensured that there are pathways for leadership in the sector. Since taking on the role, Anne has led a review of both programmes and bringing into line with industry and participant needs and changing leadership requirements. Collectively the two programmes are providing comprehensive professional development for 53 people per year with recent involvement by some new industry sectors including aquaculture, viticulture and forestry as well as the dairy, red meat, horticulture sectors. It has been a great learning curve in the primary industry sector as prior to taking on the role, Anne worked in consultancy with sport, recreation and major events including project management of several large events including an APEC Science & Technology Ministers Meeting & Associated Events, Regional Manager for 2011 Rugby World Cup and for the FIFA U17 Women’s World Cup. She has a strong background in strategy development, feasibility studies, functional design briefs and sponsorship and funding for facilities and events. 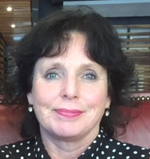 Anne sits on Boards and advisory groups and is still involved in the delivery of the National Conference for NZ Event Professionals reflecting her strong interest in professional development. She enjoys being able to have a role in the conferences and events for the Trust’s two programmes and is currently on the organising committee of the 2018 Nuffield NZ Conference and the 2020 Nuffield Triennial. Lisa Rogers began working with Nuffield New Zealand in June 2017. She comes from a background of mainly Finance and Event Management roles including organising courses and programmes. Lisa was born and bred in Canterbury, NZ, however in the past has lived in Wellington working as a Policy advisor in the State sector. For the last several years she has enjoyed living in Christchurch again, working in the private sector as Finance/ Credit managers and as Events Manager at one of the region’s largest Golf Clubs. Lisa particularly enjoys the contact with the rural sector in this role, helping applicants and scholars to experience the optimum Nuffield experience. Lisa has a Bachelor's Degree in Science from University of Canterbury, is a qualified Snow Ski Instructor, and Golf Coach. Having two sons both at University, one in Wellington and the other In Christchurch, Lisa now looks forward to getting the time to play more Golf at the weekends, travelling more and spending time with family and friends.